If that title doesn’t tell you I’ve reached old lady status, my tea drinking, crossword puzzle doing and nature watching will. Seriously though, it’s brutally cold where I live and as a makeup artist, I wash and sanitize my hands often. Regular lotion does not cut it and a hand cream is absolutely necessary. 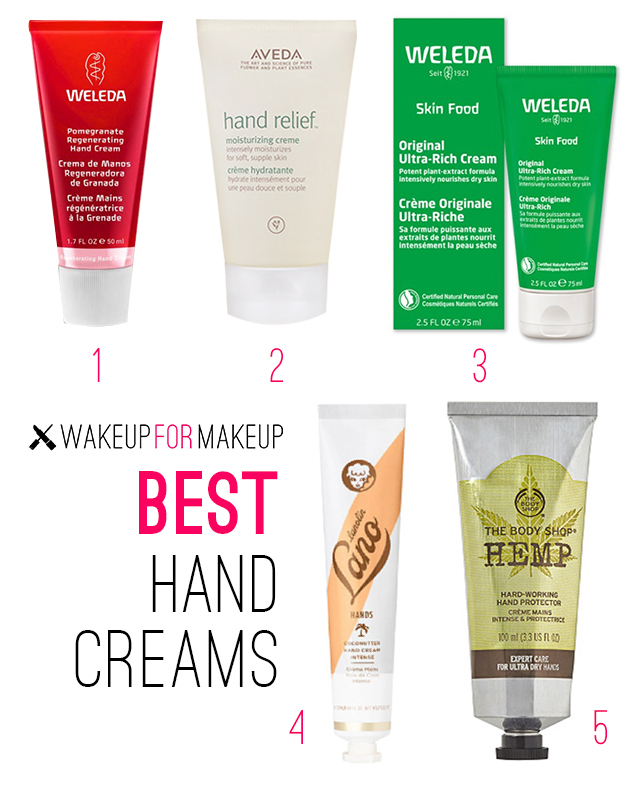 Here are the best hand creams I’ve tried that really work. I love everything Weleda does. The scent of this is light but pleasant and it’s not greasy or heavy. This is the tried and true, old forever favorite. I’ve gone through numerous tubes of this. This all purpose cream makes for an excellent, super rich hand cream. It heals even the most chapped of hands. I raved more here. When you’re living in Siberia the midwest, this transports you to a place where your hands aren’t dry and you’re sipping Pina Coladas. The Body Shop did hemp products before it was cool. This has a “hempy” natural scent that I don’t mind at all and she nice and THICC. Now, go slather those hands up real good and rest assured that when you’re 80, your hands will look 40. Love you guys. Bye for now! Hi Brook! Being that this post is about hand creams only I’m a little confused. Could you tell me where you ordered this box? What brands? ?